"Five Stars ... as engaging as it gets ..."
"Album of the Month ... a performance of revelations, big and small, easily the most illuminating to have appeared on disc in a very long time. Jurowski is probably now the prime recommendation, the ‘library’ choice, that has for so long eluded us." "... a splendid Mahler, full of fresh ideas that actually work with the music and not against it. Vladimir Jurowski unquestionably is one of the best conductors out there today ... if you love this symphony you will want to hear what Jurowski brings to it." This spellbinding performance of Mahler’s great Symphony No. 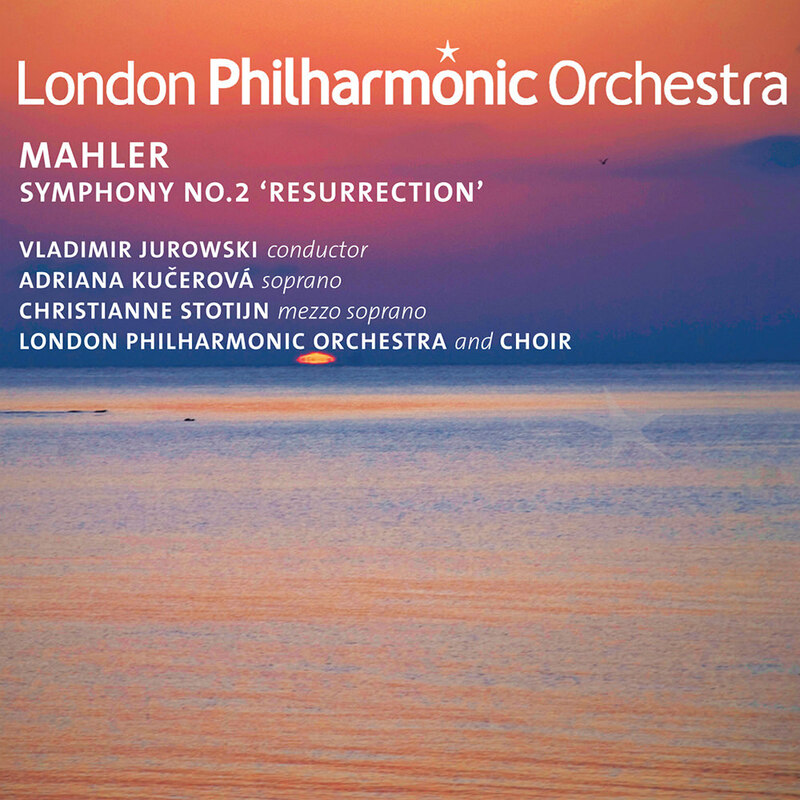 2 from the London Philharmonic Orchestra under Vladimir Jurowski was recorded live in September 2009 and has been included on the Gramophone list of the 10 essential Mahler albums. Joining the orchestra are the London Philharmonic Choir, soprano Adriana Kucerová and mezzo-soprano Christianne Stotijn.